All that President's Day really means to me is that traffic might not be quite as heavy in the Los Angeles Basin -- but you never can tell. I'm taking the motorcycle out in the morning so traffic isn't much of an issue to me. 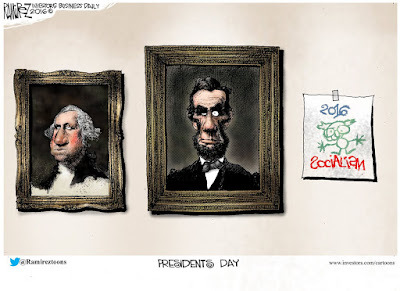 I don't think that US Presidents were all bad, though they clearly had their agendas. Mr. Lincoln is still unpopular in areas of the American South where people hold a grudge. Most people in my generation never thought that we'd have a president that was as toxic as Jimmy Carter again but we doubled down with Barack Hussein Obama, who is nothing short of toxic. Mainstream Republicans speak of the banality of Donald Trump, but he resonates with their electorate. Why is that? I don't see opposition candidates or the intelligencia discuss it without invectives. Americans yearn for somebody who will say what they think and not what they think people want to hear. 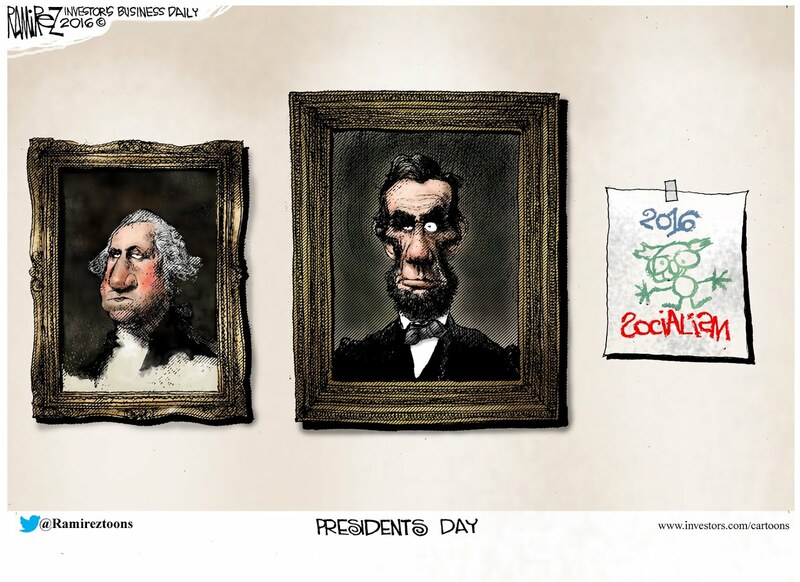 It's true with Bernie Sanders as well, pictured above (right) next to Lincoln.